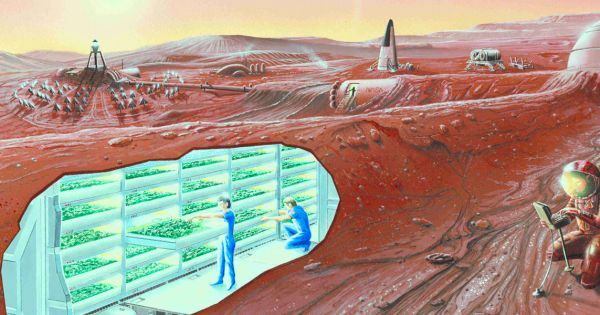 Home » Should We Try to Colonize Other Worlds or Stay and Fix Earth? What if we made successful manned missions to those planets? What if there was life on any of those planets, and we could make contact? These questions have driven astronomers and science fiction enthusiasts alike for countless years. And, as planning for manned missions to Mars and the search for extraterrestrial life continue, these questions become more relevant than ever. However, putting aside all the excitement generated by space exploration, it’s important to ask not only if we can, but if we should. According to acclaimed science fiction writer Kim Stanley Robinson, sending humans to nearby exoplanets would be a terrible idea. To discuss his opinions the best way he knew how, Robinson expressed himself in his 2015 novel “Aurora.” In this book, Robinson imagines a capsule-type human society that takes an extended journey to a nearby star on a large vessel built to sustain human, plant, and animal life for centuries. While Robinson’s book was technically science fiction, it wasn’t all that far from reality. Darpa funded the construction of an ark-like vessel similar to Aurora’s ship around the time the book was written. But instead of reinforcing Darpa’s aspirations, Robinson’s tale highlighted the issues that could potentially arise and compound on each other with such lengthy space travel. And, as his narrative illustrates, Robinson believes that these problems would be too great for humans to overcome. The challenges the fictional crew on the Aurora face paint a picture of the potential issues with space colonization that are rarely discussed. For example, we can clearly see how climate change is slowly but surely wreaking havoc on our planet. Now, imagine that Earth was a smaller, completely contained vessel in which the emissions and gasses produced had nowhere to escape. Even if the ship launched with environmental systems perfectly equilibrated with each other, any changes that occurred over the hundred years in space would throw multiple systems out of balance. As time goes on, this imbalance would only become more severe, and a trip to even the nearest exoplanet could take an extraordinary amount of time. These scientific concerns of imbalance in long-term, artificial environments are in addition to the sociological issues that are bound to arise. Terra-forming and space colonization are getting a lot of buzz since NASA announced that a nearby dwarf star named TRAPPIST-1 was discovered with seven surrounding planets, three of which orbit within the “habitable zone.” So, we may be wise to take this discussion about the repercussions of a manned mission to a nearby exoplanet more seriously than we would the latest piece of crazy science fiction. A voyage like this is becoming more and more of a possibility, and it’s important to take a step back and think about obstacles that might not be obvious. While it will be temping to bound ahead with interplanetary space travel as soon as it becomes more feasible, we might not want to take the leap too soon. The problems we have on Earth will not disappear when we leave — they will follow us wherever we go. So let us remember even while we work towards a technologically advanced future that just because we can doesn’t always mean that we should.